Completed the design of the new main-chain fee scheme. Completed the technical design of the new fee scheme. Released the upgrade package of ASCH v1.4.6. Released the upgrade documentation of ASCH v1.4.6. Fixed the bug of operation containing special characters execution exception in the database. Implemented the charging rules of the smart contract (completed by 50%). Adapted the smart contract engine to Node10 (completed by 50%). Fixed some iOS copywriting errors and released iOS v1.4.6. Initialed ASCH’s Chrome browser plug-in project and conducted pre-technical research. Completed functions such as account creation and mnemonic private key import. 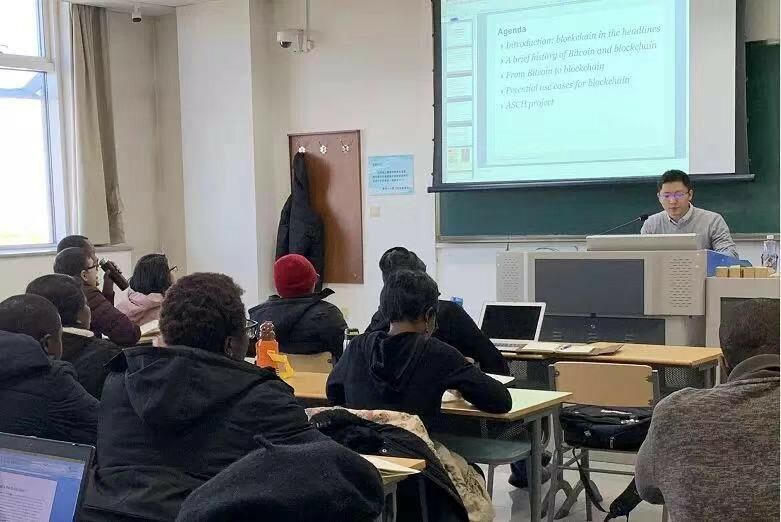 This week, James Kuai, co-founder of ASCH, was invited to share the knowledge of blockchain in the Communication University of China. He gave an academic lecture on “Blockchain Technology and Development in China”, popularizing blockchain knowledge from the origin, concept, value, technology and application scenarios of the blockchain, and also introduced the technical principle and development of ASCH. 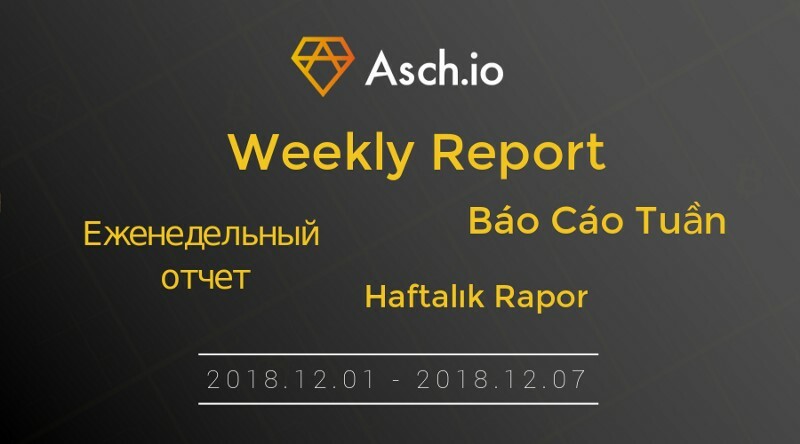 ASCH has resided in the Node Planet APP and opens the column. Node Planet is a blockchain community news and information platform, where users can learn about the network-wide blockchain news and information, as well as real-time currency information. Xingbei (http://h5.xingbei.io), DApp of ASCH, has launched the ASCH hoodie, physical coins, notebooks and so on. Xingbei is a decentralized blockchain platform for the lucky draw sessions. Its intention is to create a “one dollar” lucky draw platform based on blockchain with a fair and transparent environment. To welcome the upcoming Christmas and New Year, ASCH overseas community is collecting ideas for Christmas and the New Year. Welcome to join the ASCH English Telegram Group (https://t.me/Asch_En), and share your creative ideas with tag #ASCH2018.